So you find yourself with a little bit of extra money – perhaps due to a raise, an inheritance or an unexpected windfall? Should you put all of your money toward paying down the mortgage on your home? Or would you be better off placing your extra cash into a savings account? Deciding whether to pay down your mortgage or add to your savings is a complex choice and it depends on a number of factors in your personal financial situation. How Much Are Your Savings Earning? Take a look at the savings accounts where you are keeping your money and assess the interest that your savings are earning. Is your money earning more in savings than you would save by paying down your mortgage earlier? Does Your Mortgage Have Overpayment Penalties? 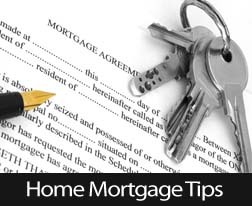 Some mortgage lenders will charge you a fee if you try to repay your mortgage earlier than the agreed upon term. Check with your lender to find out and calculate whether the extra costs will outweigh the benefits you get from overpaying your mortgage. If they do, put your windfall in savings instead. What are Your Other Debts? It doesn’t make sense to be overpaying on your mortgage if you have a lot of credit card debt that is charging you an enormous amount in interest. Prioritize your high-interest debt first before you think about overpaying on your mortgage. You should always have an emergency fund in cash that will protect you from having to use expensive credit card debt if an unexpected payment comes up such as a burst pipe or a flat tire on your car or if you lose your job. A good rule is to have the equivalent of three to six months of savings in a bank account just in case you need it. This is a first priority and only when you have this emergency fund established should you consider overpaying on your mortgage. These are just a few of the important factors that you should consider when deciding whether to overpay the mortgage on your home or place the money in savings. 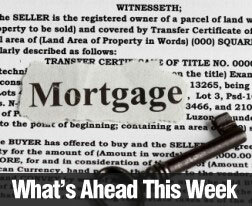 For more information, contact your trusted mortgage professional. According to a statement provided by the Federal Open Market Committee of the Federal Reserve, the committee has approved another reduction of the Fed’s monthly asset purchases. The adjustment will be made in February and cuts monthly purchases of mortgage backed securities from $35 billion to $30 billion and monthly purchases of Treasury securities from $40 billion to $35 billion. FOMC began reducing its asset purchase under its quantitative easing program in January, when the monthly purchases of mortgage-backed securities and Treasury securities was reduced from $85 billion per month to $75 billion. Citing its goals of maximum employment and price stability, the FOMC said that it has seen consistent improvement in the economy and specifically mentioned a lower, but still elevated unemployment rate. The statement also indicated that the FOMC expected labor markets to improve. The Fed initiated the QE program in an effort to control rising long-term interest rates, which include mortgage rates. Yesterday, the FOMC statement said that Fed expects its purchases of longer-term assets will continue to control long-term interest rates and mortgage rates while supporting mortgage markets. FOMC’s statement reported that it sees the risks to its economic outlook and the labor market as having become nearly balanced. The FOMC is still looking for inflation to reach its 2.00 percent goal. The Fed intends to maintain a highly accommodative stance on monetary policy after the QE asset purchases end and the economy is significantly stronger. The current Federal Funds Rate of between 0.00 and 0.250 percent will be maintained at least until the national unemployment rate drops below 6.50 percent. FOMC members reaffirmed their commitment to monitoring economic indicators as part of any decision to alter current QE measures or the Federal Funds Rate. FOMC statements have consistently included the committee’s assertion that no arbitrary benchmark alone will be sufficient for the committee to change either QE asset purchases or the Federal Funds Rate. Although fears of tapering the Fed’s monthly asset purchases may persist, it appears that each FOMC decision to reduce asset purchases under the QE program indicates economic growth. Last week brought mixed news; while the Department of Commerce reported a dip in new home sales, mortgage rates also fell. The Federal Reserve’s FOMC statement revealed that quantitative easing would be further reduced by an additional $10 billion monthly. December’s reading of 414,000 for new home sales fell short of November’s revised reading of 445,000 new homes sold as well as expected sales of $455,000. 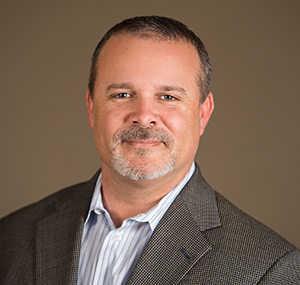 The consensus figure was based on November’s original sales reading of 464,000 new homes sold. The inventory of new homes available rose from last month’s level of 4.70 month supply to a 5 month supply in December. Cold weather was cited as a cause of lower new home sales. New home sales increased by 4.50 percent year-over-year; this was the highest reading since 2008. The median price of a new home rose by 0.60 percent in December to $270,299. The national median home price was $265,800 in 2013, an annual growth rate of 8.40 percent and the highest annual growth rate for median home prices since 2005. Economists cited rising mortgage rates, new mortgage rules and a lagging labor market as signs that slower home sales could be expected in 2014. Pending home sales echoed the slowing trend in home sales; the index reading fell by -8.70 percent to a reading of 92.4 in December. This was the lowest reading for pending home sales since October 2011. The Case-Shiller 10 and 20 city home price indices for November reported a 13.70 percent gain in home prices year-over-year. This was the fastest annual growth rate in home prices since 2006. Further evidence of slower growth in home prices was evident as nine of 20 cities tracked reported lower home prices. 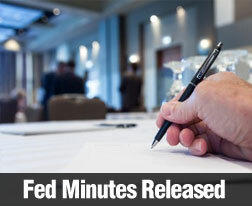 Wednesday’s FOMC statement confirmed expectations that the Fed would continue tapering its monthly asset purchases made under its quantitative easing program. Monthly purchases of mortgage-backed securities and Treasury securities will be reduced from January’s level of $75 billion to $65 billion in February. Economists expected this reduction to occur. Freddie Mac’s Primary Market Survey reported lower average mortgage rates. The rate for a 30-year fixed rate mortgage fell by 7 basis points to 4.32 percent with discount points unchanged at 0.7 percent. 15-year mortgage rates also fell to 3.40 percent with discount points lower at 0.60 percent. The average rate for a 5/1 adjustable rate mortgage fell by 3 basis points to 3.12 percent with discount points unchanged at 0.50 percent. This was welcome news as homebuyers and mortgage lenders have felt the effects of higher home prices and new mortgage rules that became effective January 10. Weekly jobless claims jumped to 348,000 from the prior week’s 339,000 new jobless claims. This was the highest level of new jobless claims in six weeks. Reasons for increased claims were unclear, but were possibly caused by lingering influences of the holiday season or a sinking labor market. Consumer confidence rose in January to a reading of 80.7 as compared to December’s reading of 77.5 as compared to January 2012’s reading of 58.4. This week’s scheduled economic and housing news includes construction spending, non-farm payrolls and the national unemployment rate. Freddie Mac’s PMMS report and weekly jobless claims will be released as usual on Thursday.